In The Gospel in Brief, Tolstoy explained that the only words in the Bible that he could truly trust were the words of Jesus. All the other words of the Bible had doubt cast on them due to the historical critics. Malof noted the connection between biblical doctrine and society. When humanity rejects God and his Word, invariably society becomes destructive rather than constructive. He realized there was a link between sound doctrine and a sound society. This searching attitude would be reflected in Tolstoy’s Confession, in which he described in great detail, his search for God. He said he dabbled in all the latest philosophy. He had studied all the great thoughts of men and determined, as Solomon, that they were all vanity. He studied all the world’s religions (even all forms of Christianity) and concluded that they weren’t true because of their hypocrisy. They didn’t live out the morality that they espoused. But this made him feel hopeless and suicidal. What was the meaning in life? Why did he exist? So then Tolstoy turned to poor laborers to understand the faith that sustained them in their hardship and realized he may have been hasty in rejecting faith because of the hypocrites. He then described the intelligentsia who questioned the commandments of God, rather than accepting them as the uneducated peasants did. If a naked, hungry beggar has been taken from the cross-roads, brought into a building belonging to a beautiful establishment, fed, supplied with drink, and obliged to move a handle up and down, evidently, before discussing why he was taken, why he should move the handle, and whether the whole establishment is reasonably arranged–the beggar should first of all move the handle. If he moves the handle he will understand that it works a pump, that the pump draws water and that the water irrigates the garden beds; then he will be taken from the pumping station to another place where he will gather fruits and will enter into the joy of his master, and, passing from lower to higher work, will understand more and more of the arrangements of the establishment, and taking part in it will never think of asking why he is there, and will certainly not reproach the master. 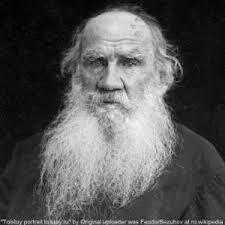 Tolstoy said that he couldn’t agree with philosophers such as Schopenhauer and Kant. He believed that God couldn’t be found in the material world through sensory experience. He must be found in a realm outside of time and space, therefore their dismissal of God as the Cause didn’t impress him. Instead, Tolstoy sensed the presence of love in the universe. He said this love was like the love of a mother. But again and again, from various sides, I returned to the same conclusion that I could not have come into the world without any cause or reason or meaning; I could not be such a fledgling fallen from its nest as I felt myself to be. Or, granting that I be such, lying on my back crying in the high grass, even then I cry because I know that a mother has borne me within her, has hatched me, warmed me, fed me, and loved me. Where is she–that mother? If I have been deserted, who has deserted me? I cannot hide from myself that someone bore me, loving me. Who was that someone? Again “God?” He knows and sees my searching, my despair, and my struggle. 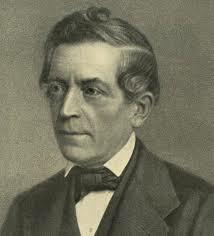 David F. Strauss, liberal theologian who claimed the miracles of Christ were merely myths. 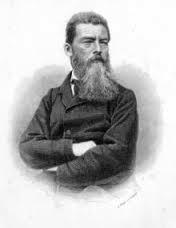 Ludwig Feuerbach claimed that God was merely a conception in the mind of man. It was at this time, because of the simple faith he saw in the peasants, that Tolstoy decided to attend the Orthodox Church and join in their religious rituals. He thought that if he submitted, in due time, he would understand their meaning and find joy and peace in the life of the “community” as they became one with their forefathers by following the same traditions. But the opposite happened. If he just went to church and practiced the rituals, he would experience inexplicable pain in his heart. He was able to ignore it or blame it on his own sin, yet as he studeid the “truths” he could no longer close his eyes to the faults of the Orthodox religion. They emphasize the fact that they have a differently shaped cross and different alleluias and a different procession round the altar. We reply: You believe in the Nicene Creed, in the seven sacraments, and so do we. Let us hold to that, and in other matters do as you please. We have united with them by placing the essentials of faith above the unessentials. Now with the Catholics can we not say: You believe in so and so and in so and so, which are the chief things, and as for the Filioque clause and the Pope–do as you please. Can we not say the same to the Protestants, uniting with them in what is most important? My interlocuter agreed with my thoughts, but told me that such conceptions would bring reproach to the spiritual authorities for deserting the faith of our forefathers, and this would produce a schism; and the vocation of the spiritual authorities is to safeguard in all its purity the Greco-Russian Orthodox faith inherited from our forefathers. The emphasis of the Russian Orthodox Church on rituals, rather than simple love for God and neighbor, based on the central tenets of Christianity, would confound Tolstoy. As the author of such beautiful Christian stories as “Where Love Is, There God Is Also,” he would explain God to his fellow Russians, but his own pursuit of God would be clouded by doubt under the influence of liberal Christianity, philosophy, and most sadly the Russian Orthodox Church. Right after this, Tolstoy left on his final search for God. The newspapers watched his every move as he traveled from monastery to monastery to speak with the “startsi” (aged saints). Deciding to never go home again, he wandered from place to place until finally dying at a railway station. Tolstoy was searching for the Narrow Way. He wanted a simple faith that would produce a relationship with God, and love for his neighbors, but he also rejected the authority of the scriptures–the only place he could have found what he was looking for. The blame for this can be placed on the historical critics of the nineteenth century, of whom Basil Malof rightly described their theology as an “octopus of hell” stretching forth its poisonous tentacles over the minds of students, professors and preachers. The doubt they cast on the authority of the scriptures caused not only Karl Marx to lose his faith (followed by the massive destruction of millions of people), but also caused the joy in Tolstoy’s heart to be squelched, and his life to become a fruitless search for something that could satisfy his soul. Oswald A. Blumit and Oswald J. Smith. Sentenced to Siberia: The Story of the Ministry, Persecution, Imprisonment, and God’s Wonderful Deliverance of Pastor Basil A. Malof, Russian Missionary, 6th ed. (Wheaton, IL: Mayflower Publishers, 1943), 73-74. Leo Tolstoy, Confessions, Christian Classics Ethereal Library, http://www.ccel.org/ccel/tolstoy/confession.ii.xi.html (accessed 2/8/2009). Oswald A. Blumit, Sentenced to Siberia, 71-81.